There is a strong consensus from several intersecting fields of science that the phenomenon we call “mind” is an emergent of the brain with its approximately 100 billion neurons. Only in the last two decades have we been able to use non-invasive brain imaging to directly study the conscious human brain. Those terrabytes of new data, in combination of experimental results from model systems have made possible a new synthesis about the question of “mind”, one that moves from Cartesian dualism to a new unified theory in which the brain, as a complex adaptive system emerges “mind” through its physiology. This new synthesis seeks to create a general integrative theory of neuroscience. 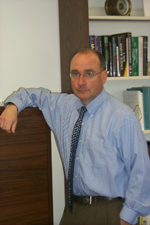 JAMES L. OLDS is the Director of the Krasnow Institute for Advanced Study at George Mason University. Concurrently he is Chair of the Department of Molecular Neuroscience and the Shelley Krasnow University Professor of Molecular Neuroscience. He received his bachelor’s degree from Amherst College in Chemistry and Ph.D. in neurosciences from the University of Michigan, Ann Arbor. He completed his postdoctoral training at NIH. He moved to George Mason University in 1998. His research is focused on the mechanisms for learning and memory in mammalian brains. He is the tenth editor-in-chief of The Biological Bulletin, one of the oldest peer-reviewed scientific journals, which is published in Woods Hole. President Robin Taylor called the 2,266th meeting to order at 8:21 pm March 5, 2010 in the Powell Auditorium of the Cosmos Club. Ms. Taylor announced that Eric Gottschall would serve as membership chair and Larry Millstein would serve as program chair for the coming year. She announced the CapSci event sponsored by the Washington Academy of Sciences. The minutes of the 2,265th meeting were read and approved. Mr. Olds said he hoped to persuade us that it is a worthwhile project to study mind given our current knowledge of neurobiology. He began with some confessions. First, it’s a new field; the term dates only to the 1960s. The charter membership of the Society for neuroscience was only about 100 members; now it is about 30,000 members. The field has been very good, he said, about collecting data and compartmentalizing it. However, he worries that the field has not done very well about explaining things like how Shakespeare’s sonnets, Beethoven’s symphonies, and the conversation we were having are produced. Unlike physics, with its theories, and chemistry, with its periodic table, we don’t have a framework, a general theory. We haven’t had our Einstein yet. We have perhaps the most challenging scientific question in the universe, but we don’t have a lot of payoff yet. His colleagues argue that they have payoffs in other ways, in neurological diseases and learning disabilities. He said they have gotten more sophisticated in the questions they ask, particularly in the last decade and a half. His feeling is that they are on the verge of producing a theory, through integration of data, which actually explains something useful, in terms of advancing human knowledge. He expects that they will be able to describe and demonstrate that the phenomenon called mind emerges from the activity of the 100 billion nerve cells located in the skull. He showed an orange card, which he called red, and asked what it meant in European football. It means you are out of the game. It means the same to all the players. You may see the card as violet, but however you see it, you know what it means and you can play soccer. If you are asked, you say it is orange. How you perceive it is irrelevant; you are trained to call it orange. He illustrated what he called “the hard problem” with two cards. He pulled these two cards, the eight and nine of diamonds, from a fresh deck. It is a sequence, he said, of cards, a sequence of memories, and a sequence of episodes. You can remember it, as you can remember what you had for breakfast this morning. But you can’t remember what you had for breakfast on a day in April of 1988. You might reason it out, but you can’t remember it. All these are interesting phenomena of human mind. Where neuroscience has failed is in explaining the relationship between the activity of the brain and the phenomena of mind. He spoke of two threads. Thread one took him back to 1988, when his lab chief was Craig Ventor. Mr. Ventor liked to sail, and one evening in August they went out on the Vinyard Sound on a 42-foot boat. While Mr. Olds sailed, Mr. Ventor talked about the feasibility of sequencing the human genome. Mr. Olds thought this might not be a good idea, but he had a good time. The people of that group had a betting pool on how many genes we would have. The answer is 20,000 to 30,000. About 8,000 of them are brain specific. Rice has many more genes, although rice has not produced any Shakespeare. The first thread leads him to be optimistic, since we can identify about 8,000 brain-specific genes, and hat leads to the possibility of a brain-specific genome. The other is that they have been able to move the scope from simple organisms like squid and rats to complex ones like college sophomores. That was made possible by non-invasive brain imaging. That makes him optimistic that the field is going to move from the 19th century mode to the 20th century mode. The brain has about 1011 neurons. It was once thought that neurons were like atoms. Now it is known that they are more like Toyota parts factories. Each nerve cell is connected to about 25,000 other neurons. The atom is not the neuron, but the 25,000 synaptic spines that are on each neuron. Some call it the most complex machine we know of in the universe. There are, though, only about 300 different types of neurons. They compare to each other roughly like trees. They have similarities and differences. None are identical with each other, but the types are easily identifiable. He quoted a cell biology teacher who said that, when we understand learning and memory, we will find out it is just a more regulated form of cancer. Molecules that play a critical role in oncology also play a critical role in learning and memory. Cancer is, at the elemental level, a change in the function of cells. He told about an interesting observation on the brain of college sophomores playing the prisoner’s dilemma game. If they think they are playing against a computer, they play selfishly and mercilessly. If they think they are playing another college sophomore, they usually play cooperatively. There is a part of the brain that lights up when they think they are playing another college sophomore, and it does not light up when they think they are playing the computer. That brings up the theory of mind: that people try to be polite to other humans because they attribute to others the characteristics that they themselves have. The brain determines that, if they think they are playing a computer, they will defect almost every time. If they think they are playing another person, they will usually cooperate and split the reward. There was some discussion that introduced the question of big-brained animals, which don’t have opposable thumbs and don’t manufacture tools. They probably do have symbolic communication. However, that research has not been done; MRI machines don’t work with that big a brain. What I’m getting at, he said, is that we are starting to get tools to investigate questions that relate to the phenomena of mind. This will bring about the ability to organize the mind-brain, and then we can move on to dynamics, which he thinks is the most important development. His sense is that a general theory of neuroscience is going to come from the ability to measure the dynamics of a human brain and correlate them with constructs of the mind. When brains go highly synchronous, when they beat like the University of Michigan Marching Band, the person goes into seizure. He drops like a rock. A similar kind of thing happens when a person sees his grandmother’s face, but in that case they are not completely synchronized and seizure does not occur. So the dynamics of neural activity are perhaps even more important than the more basic features of functioning. This suggests that the ability to measure brain dynamics and correlate dynamics with real human phenomena will produce a greater understanding of the mind-brain. He believes that they are close to developing a set of rules that go from brain dynamics to mind phenomena that will enable the field to go from stamp collecting to general theory. After the talk, there was a question about sleep. We lose consciousness, calmly, every day, Mr. Olds said, because we are confident we will regain consciousness. Interestingly, the brain uses energy at the same rate during sleep as awake, although the dynamics are very different. Studies on rats suggest their brains rehearse projections of paths that were passed during the day, perhaps as a way of consolidating the route. In the discussion period, he suggested that the mind is an adaptive complex system. He compared it to snow removal and beetle infestation. Someone asked about determining causality from the neuroscientific methods, observing that they mostly yield correlations. Mr. Olds responded that he can engineer neural systems so they will turn off and on to different colors of light. Another person took issue with the idea that the course Mr. Olds was on would lead to understanding how Shakespeare’s works were produced, noting that Mr. Olds had said nothing about physical thought processes. Mr. Olds responded that sophomores can be more complex than Shakespeare, though he admitted the validity of the point. To the last question, he said he believed mind measurable in an ordinal way. He believes he has more mind than his beagle, the beagle has more than his cat, the cat has more than a rat. He is not sure the rat has mind, but he somehow placed the rat higher in the order than a sea slug. After the talk, Ms. Taylor presented a plaque commemorating the occasion. She made the usual housekeeping announcements. She invited guests to apply for membership. She announced the next meeting. Finally, at 9:41 pm, she adjourned the 2,266th meeting to the social hour.